In a move to raise awareness of the Fiat Professional brand in Australia, the Fiat Chrysler Group has upped the ante in an aggressive marketing campaign for Fiat LCV products. The front-wheel drive Fiat Ducato van can handle payloads between 1,600kg on mid wheel base models to 1,900kg on long wheel base models. And load volumes range from 10 cubic metres to 15 cubic metres. Engine wise The Ducato is powered by a 2.3 litre Multijet engine that puts out 96kW of power and 320Nm of torque with a 109kW version also available. The Multijet turbo diesel is backed by a 6-speed manual or 6-speed automated gearbox. 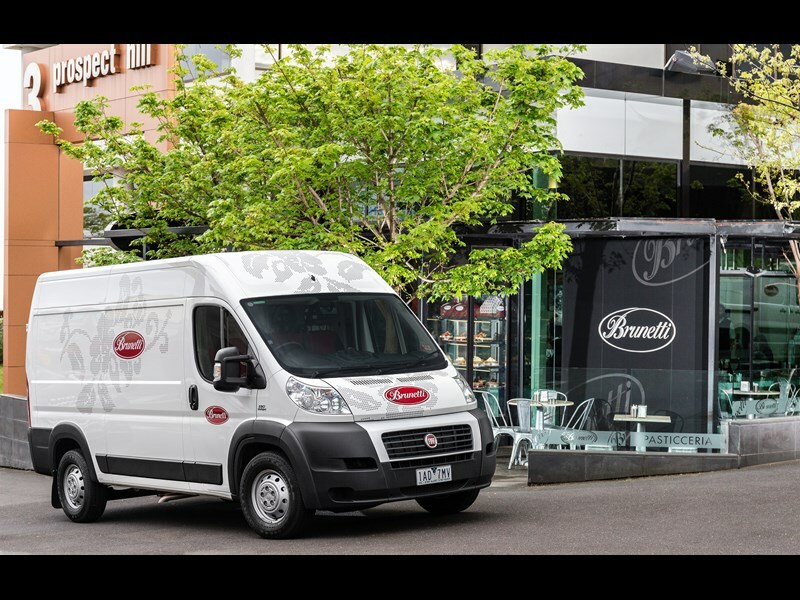 At a media conference earlier this week, Fiat Professional Australia Director, Rob Moorcroft called the Ducato "Australia’s best kept secret" and announced future variants are on the way, including an extra-long wheel base model as well as a cab-chassis. Also expected to arrive on Australian shores next year are short and medium wheel base versions of the Fiat Doblo mini-van as the company look to challenge Volkswagen’s strangle hold on that part of the LCV market. Fiat Product Strategy Manager, Zac Loo also highlighted the competitive pricing and value of the Fiat LCV line up especially in terms of payload and load volume versus dollars spent. The smaller Fiat Scudo uses a 2 litre version of the turbo-diesel Multijet engine and carries a payload of up 1200kg with a load volume of 6 cubic metres. The 88kW/300Nm Scudo is however, only available with a 6-speed manual transmission. We recently had the chance to sample the current Fiat LCV range on an early morning delivery run around the Melbourne CBD and inner city. Initial impressions are that the Multijet powerplant is quite a punchy, yet quiet powerplant for a small diesel, the vehicles were also counterweighted to give an idea of performance at close to average working weight. The vans are all three-seaters as standard with a 2 seater option available. And interior wise the little Fiats are quite well appointed and stand out from offerings by other European manufacturers by managing to look that little bit different without being drab and boring; or maybe it was just the red inserts on the seats. A dashboard mounted paper clip keeps con-notes from drifting around the cab, while a drink cooler in the glove box has room for a 1.5 litre bottle. The front-wheel drive configuration of the Ducato is apparent on the road as you can feel the power being fed to the front wheels through the steering wheel; however traction wasn’t an issue on our drive. A more detailed run down of the drive will appear in an upcoming issue of ATN. Also, to prove that they’re not mucking around, Fiat Professional has also announced that until December 2013 the Ducato will be sold with a 5 year-300,000 kilometre warranty as well as 3 year scheduled servicing. Find Fiat vans for sale. Search for new Fiat specs.